Supply materials and parts for Air condition installing,assembling,repairing,and develop new item for A/C energy saving. Supply HVAC parts,compressor,heat exchangers, refrigerating pipeline system,refrigeration tools,insulation materials,etc. Supply Air duct terminal devices,Air Ducts and parts,Air duct fans and filters,developing duct cleaning robots and machines. Supply Solar Photovoltic System,Solor Thermo Devices,Solar Thermodynamic Panel Hot Water,Solar Air conditioner,etc. Supply Energy Saving Products,Save power,Save water,Save oil,Save gas,and other eco-friendly green products. Custom Metal Products,Customize and Fabricate Sheet Metal Products,Tube Bending,Extrusion Profile,Forging and Forming. Business is not just price , there is something else much more important than the price: service & trust . YES , we have competitive price,good faith , excellent quality , and good service ! Hi,customer,welcome to Smartclima! 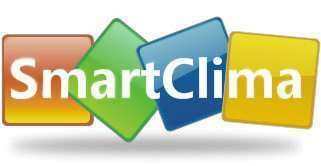 Smartclima is a quality brand in the field of HVACR project. Here,you will find a complete range of HVACR parts,Air Conditioner Spare Parts,Ventilation Project Materials,Refrigerating Parts,Cooling&Heating Elements,Water(Hot/Cold) Project Materials,Solar Utilizing Device/Eco-friendly products,and accepting custom production service.Smartclima provide one-stop solution service for your HVACR project,from design,calculate to parts&materials supplied.Our mission is to develop and supply energy-saving HVACR materials for worldwide market,just to save your money,save your time———Smartclima Co.,Ltd.